How do you feel about your current smile? If your answer isn’t as positive as you’d like it to be, consider pursuing a cosmetic transformation here at Island Daily Dental Care. Our accomplished doctors offer several dazzling options that can erase flaws and refresh your appearance for the better, giving your self-confidence the boost it deserves. Our team is proud to serve patients from all over Long Island who are ready to experience better, brighter teeth. Contact our Medford, NY location today to get started! 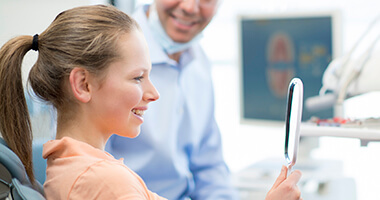 Chips, cracks, staining, discoloration, gaps between teeth – there are a lot of cosmetic flaws that can befall otherwise healthy smiles over time. If you’re experiencing several of them at once, the prospect of pursuing treatment can feel overwhelming. In these situations, porcelain veneers can be an effective and comprehensive solution that creates dazzling results in just a few convenient appointments. Veneers are extremely thin and able to fit over the visible surfaces of teeth. They hide years of imperfections behind a new, natural look all at once! Better yet, their porcelain structure is highly durable and resistant to staining, which means that your new veneer stays bright longer (even longer than your natural enamel) and holds for several years. 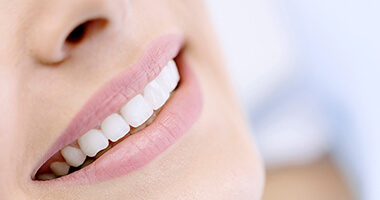 While porcelain veneers are high in quality, they do require some of your natural tooth enamel to be buffed away in order to create a final result that’s seamless and lifelike. This means that traditional veneers are permanent and cannot be reversed later on in life. At Island Daily Dental Care, we’re always happy to be able to offer our patients choices, which is why we offer Lumineers. These veneers are even thinner than traditional ones — virtually the width of a contact lens. Because Lumineers don’t require a significant amount of tooth alteration, they can be removed by your dentist, which is preferable for some people. Our doctors can review the benefits of both traditional veneers and Lumineers in greater detail during your initial consultation so that we can be sure you’re making the right decision for your cosmetic transformation. Maintaining excellent oral health is vital, but so is preserving a natural, aesthetically pleasing appearance. That’s why we offer metal-free dental crowns, inlays, onlays, and other restorations that are truly the best of both worlds. Instead of traditional gold and silver options, these all-ceramic models virtually disappear within your smile, even reflecting light just like your original enamel. They’re also durable, comfortable, and highly biocompatible. Your teeth are constantly coming into contact with things that stain — like wine, coffee, ripe berries, and rare steak. Even if you maintain perfect dental hygiene, your smile is likely to darken or yellow over time. Professional teeth whitening busts through intrinsic and extrinsic stains to reveal your dazzling smile! Island Daily Dental Care offers Boost in-office whitening treatments for stunning results that are ready after just one visit to our office.